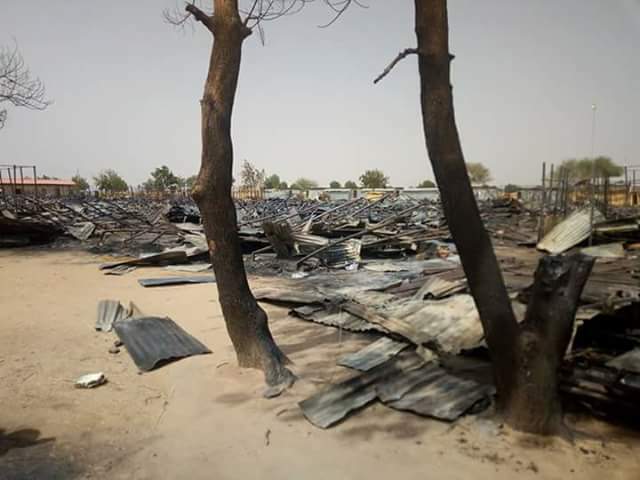 Fire destroyed Ajiri Internally Displaced Persons (IDP) camp in Mafa Local Government Area of Borno State yesterday night. The fire which started around 5.30 pm on Tuesday, lasted for some hours and the camp completely grounded to ashes. A witness, Bukar Abba, said that the fire spread rapidly and engulfed the camp she to the strong wind. “The cause of the fire has not been ascertained. It destroyed the camp. Families now stay in the open, ” he said. The affected persons, had returned and took shelter at the camp following the liberation of the community from Boko Haram’s control. 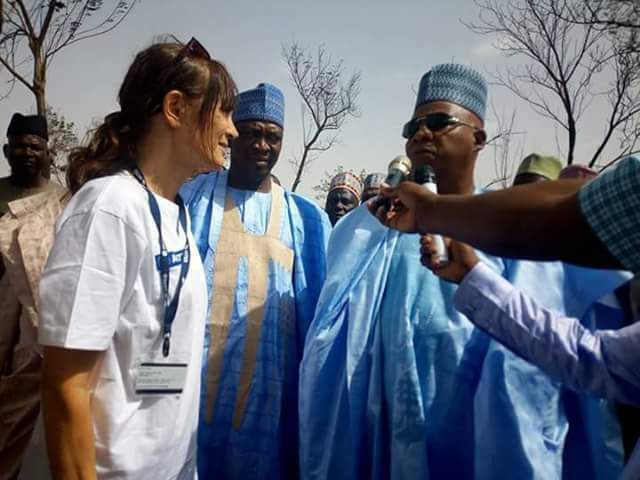 Gov Kashim Shettima on Wednesday afternoon suspended all his official engagement to visit and symphatise with Muna Ajiri IDPs over the inferno. Gov Shettima sympathised with them and tell them to take this as an act of testing ones faith by Almighty Allah, and equally urged them to intensify with prayers for peace to rain in the state and Nigeria as a whole. 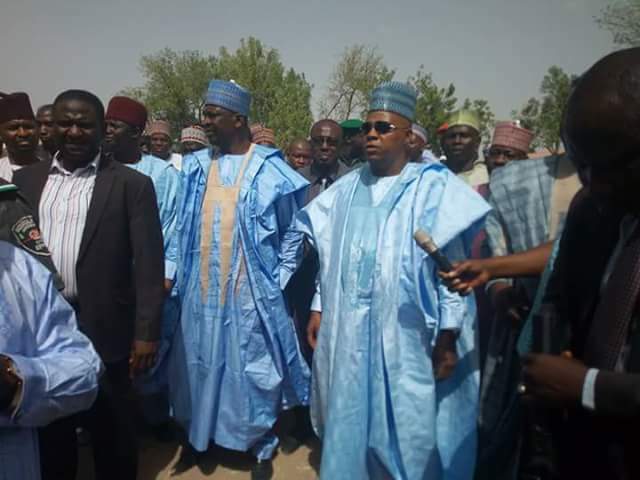 Gov Shettima directed the Deputy Governor to supply them with all there basic needs and assured them of his commitment to rebuild all the affected houses. The Governor was accompanied during the visit by the Deputy Governor, State party Chairman, House of Reps MMC, Member House of Assembly, representing Mafa, Hon Commissioner Local Government and Emirates Affairs and the Attorney General of the state and Commissioner of Justice.